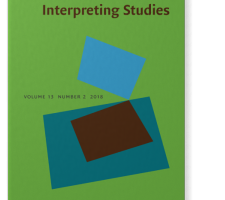 Translation and Interpreting Studies, 13(2): 293–316. ABSTRACT: This article examines the development over time of the English expression “filial piety” in order to document how, at least partly in response to pressure from an equivalence that is established with the Chinese term xiao (孝) in the seventeenth century, the term takes on new and increasingly negative connotations in English. As an important concept in Chinese philosophy, xiao occurs in many important early texts, including the Confucian Analects and, although the way the term is interpreted varies over time, remains central to many debates about Chinese culture right to this day. As the link between filial piety and xiao strengthens through the eighteenth and nineteenth centuries, “filial piety” thus unsurprisingly becomes identified as one of a small group of key terms that were increasingly thought to explain all differences between the British and the Chinese. This article examines how the term “filial piety” evolves from a natural and universal impulse due to its connection with Christianity, with China initially as a particularly good example of this universal from whom everyone can learn, through various increasingly negative shifts due to the perceived conflict between filial piety and romantic love, as well as its increasing association with the Chinese, who by the end of the nineteenth century were seen as held back by the extreme nature of their practices. Today, filial piety as a term is seen as mainly or entirely local and specific to China, and by extension, something potentially holding it back from modernity.